I definitely expected MUCH more. I finished more than 350 pages [out of 456] without being 'thrilled' about anything. It somehow felt 'predictable' [and I cannot imagine using this word for a Dan Brown book]. I was expecting riddles, symbols, codes, things to decipher: N.O.N.E., ZERO. which, I have to say, disappointed me. 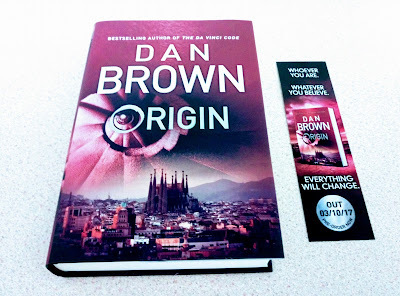 From start to end, I did not open my mouth in disbelief even once, which is quite sad for a Dan Brown book. -- Disclaimer: I am quite familiar with the ideas and 'findings' presented in the book thanks to my background in Computer Engineering. This could explain why I wasn't surprised or 'thrilled' much. Dan Brown used these principles in a 'clever/twisted' way though, I give him this. BUT, I still love you, Dan Brown! I always will.